Most people wash their hair every day. You really don't have to do that. In fact, most hairstylists recommend that you not wash it every day to give the natural oils in your hair a chance to work with your hair and coat the shaft. I cannot wash my hair every day, or it gets incredibly frizzy. I wash it at most twice a week. In between washings I use a dry shampoo to help with any oily feelings I get on my scalp (which aren't that many, my scalp is not that oily). Dry shampoo helps to absorb dirt and oil so that hair looks freshly shampooed again. There are many dry shampoos on the market and they are all okay. But there is one in particular that I am enamored with. I love it because it works so well on even my dry scalp and hair and it makes my hair feel fresh. Klorane's Dry Shampoo With Oat Milk is Allure Magazine's 2016 Best of Beauty Winner: Best Dry Shampoo. It is also known in many circles as the best dry shampoo around. Why? Because it works so well on hair. It has Oat Milk in it, which is cultivated in France, and extra gentle oat milk softens, protects and moisturizes all hair types. The soothing and protective properties of the oat respect the natural balance of the scalp and the hair shaft, making it ideal for daily use and suitable for the entire family. Klorane's Dry Shampoo adds volume and texture to hair, it extends the life of blow-outs and hair color, it is ideal for people on-the-go, frequent travelers, after the gym, busy moms and for your office desk. It is sulfate, paraben and sodium chloride free. To use, just shake well before use and spray evenly, about 10 inches away from hair, focusing at the roots. Leave on for 2 minutes and then brush thoroughly until the powder is removed. 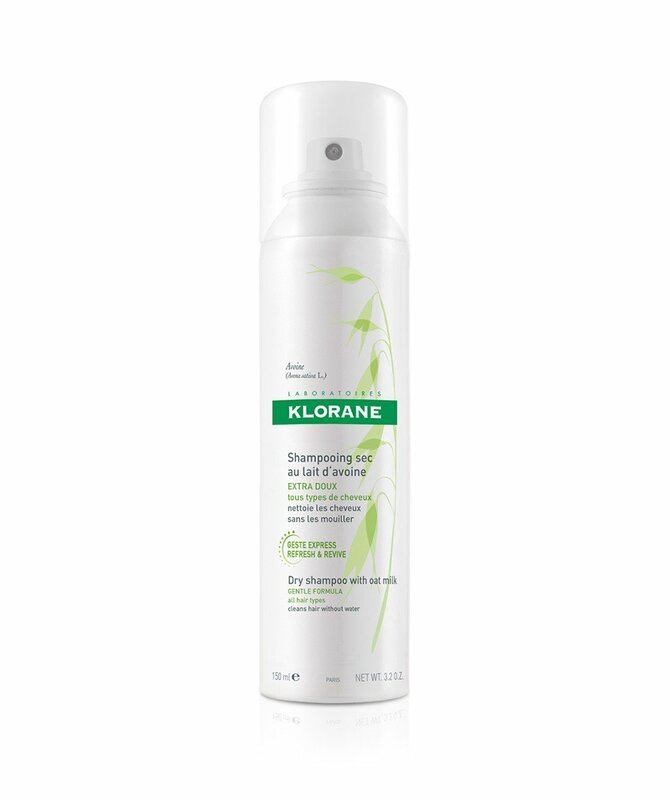 I love using Dry Shampoo and if I had a choice, I would always use Klorane's Dry Shampoo with Oat Milk. That is my number one choice in a heartbeat. It is better than any other dry shampoo product I have ever tried. It gets rid of dirt, debris, oil and anything in the hair that is weighing it down. After the 2 minutes are up and you brush your hair, it feels like you just shampooed it. Seriously. I am not kidding. The effect lasts at least 2 days. I love this product and could not live without it. It is key in my beauty arsenal. My only wish is that it came in a larger container. 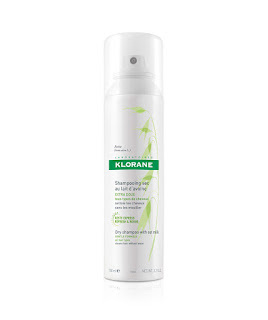 Klorane Dry Shampoo With Oat Milk retails for $20.00 and can be purchased online at www.klorane.com. It's also available online at SEPHORA, Birchbox, Beautyhabit, Net-A-Porter.com, www.soap.com and www.skinstore.com and Lovely Skin. Like Klorane on Facebook: https://www.facebook.com/kloraneusa; Follow Klorane on Twitter:@kloraneusa; Follow Klorane on Pinterest:https://www.pinterest.com/kloraneusa/; Folllow Klorane on Instagram:https://www.instagram.com/kloraneusa/ and Subscribe to Klorane on YouTube:https://www.youtube.com/user/kloraneusa.